Reflex Anti-Fatigue Mats are of a unique interactive design where input and output are interconnected producing a combination of stimulation and resilience that work together to rejuvenate as energy is expanded. This interactive action is created by using a combination of a buoyant polymer sponge base with vertical column support domes. The super resilient closed-cell polymeric sponge base encourages a constant series of subtle small adjustments to calf and leg muscles. This in turn increases blood flow by interacting with the veins in your legs, resulting in reduced fatigue and improved circulation. The domed surface provides equal support for the entire footprint; simultaneously providing upward vertical force and simple manipulation of the feet. This act breaks up stress patterns in all areas of the body, stimulates circulation and relieves tension. 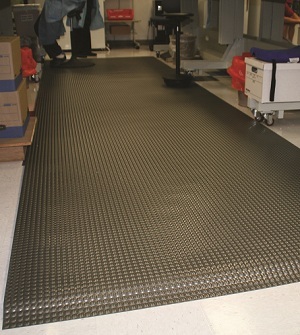 Relating the the external conditions of the workplace, productivity gains through the use of anti-fatigue mats are second only to heating and a/c. The bonus is safety and well-being. 5/8" is recommended for areas where tasks require personnel to move around in a large work station. 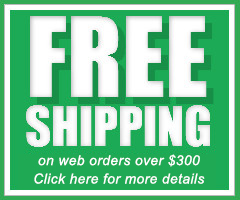 1" is the mat of choice for standing work stations, delivering unparalleled comfort.